The small piece of the arc we saw last time was amazing. 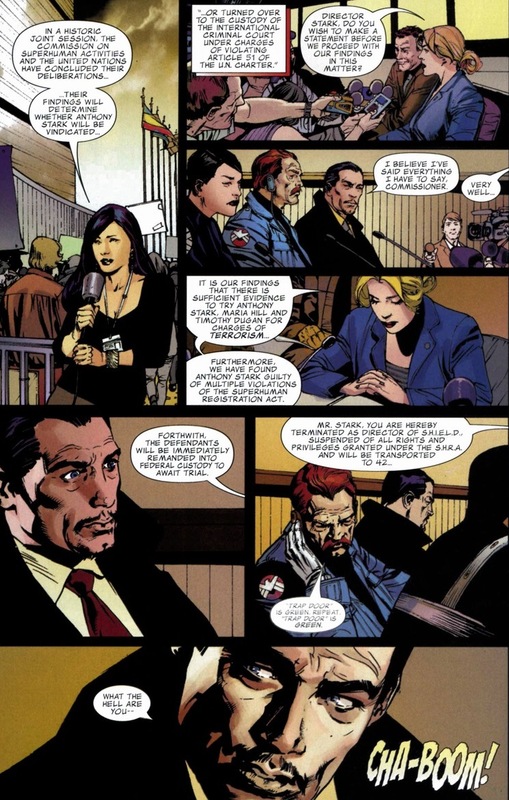 So much so that I want us to read a few more scenes from it, and hence the dilemma — to avoid whatever legal punishment comes from showing all the pages of a comic, I’d have to choose a specific angle and ignore the rest. 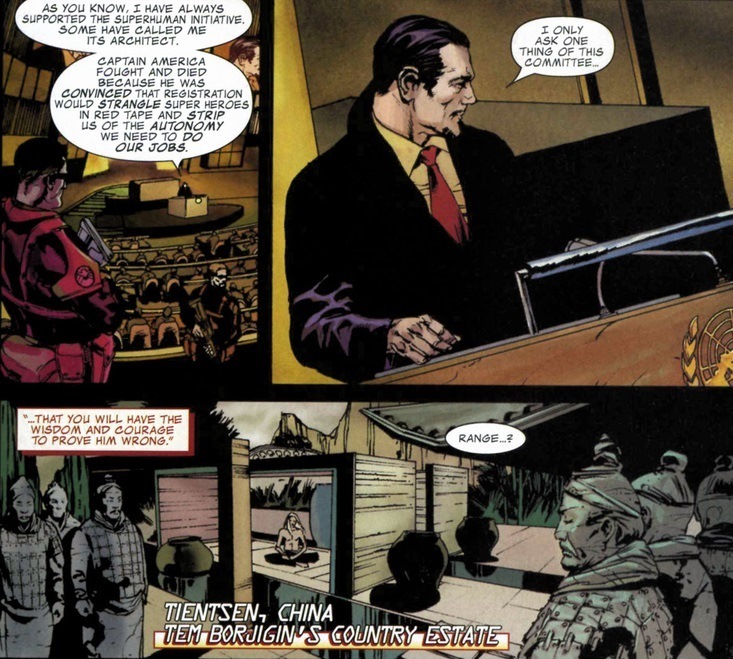 Iron Man and Mandarin face off in two separate, phenomenal clashes that highlight the beauty and eternal struggle of technology versus magic. Oh, they’re great and one of the full-page spreads wows me each time I look at it. But I know what my readers like. They’re sick of punching. 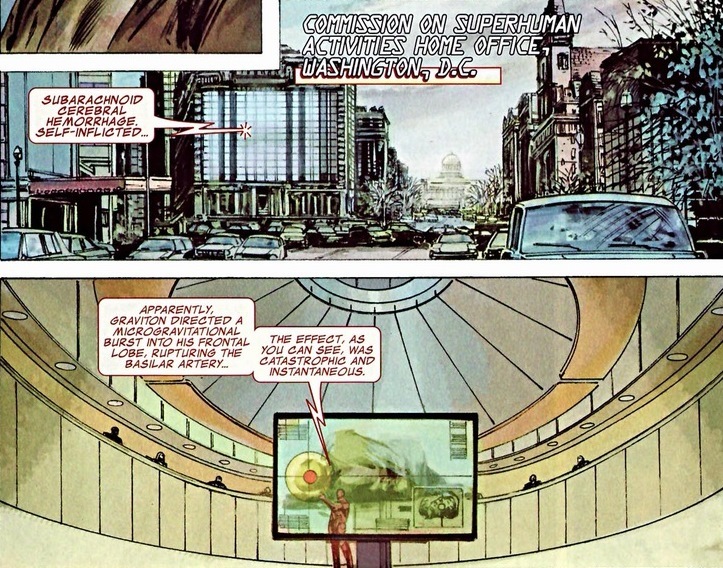 They read comics for something deeper, like what they would see on CSPAN. So, even though I protest, I’ll honor your requests. 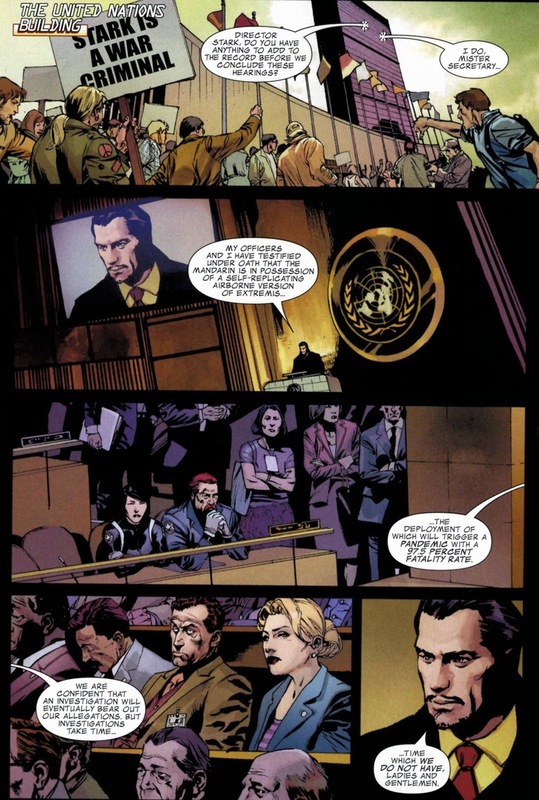 Today we’ll cover all that wonderful political talk you crave so much using pieces from Iron Man #23-28, volume four, written by Daniel & Charles Knauf and drawn by Butch Guice, Roberto De La Torre, & Carlo Pagulayan. You’re welcome. 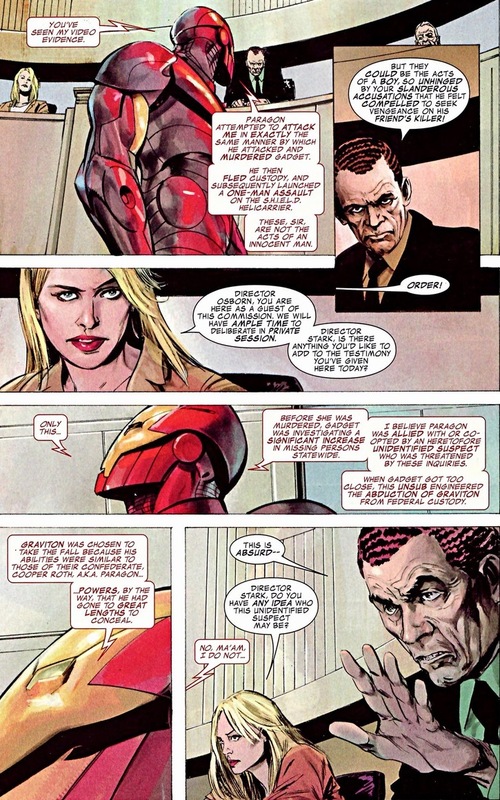 Let’s pick up at the exact page we left off on, where Iron Man explains Graviton’s death to the Commission on Superhuman Activities. 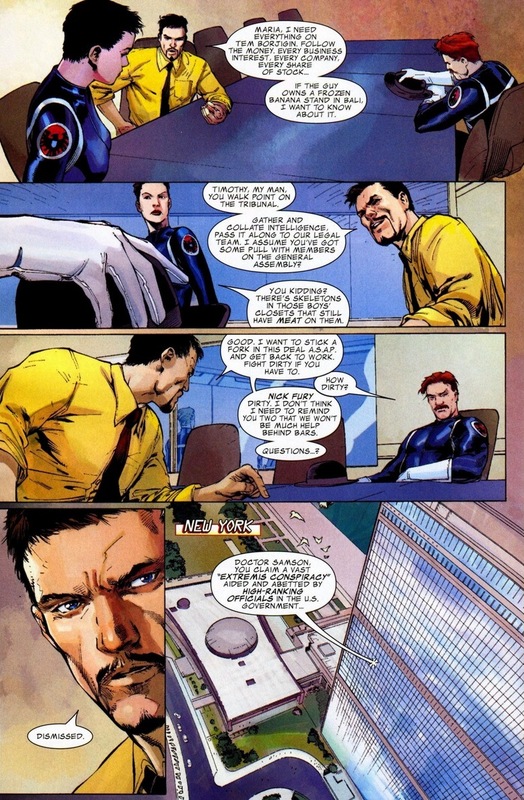 Notice anything odd from that conversation? 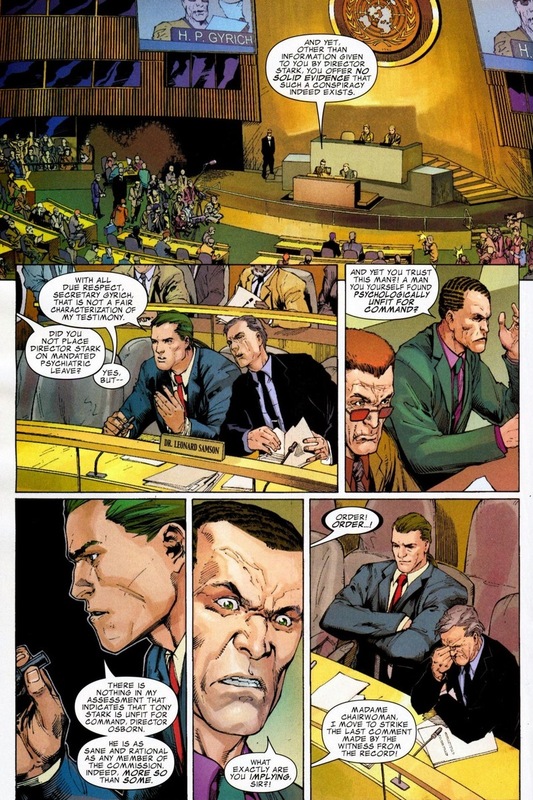 No, not Norman Osborn — he’s making his legitimate rise in politics by being slimy behind the scenes. 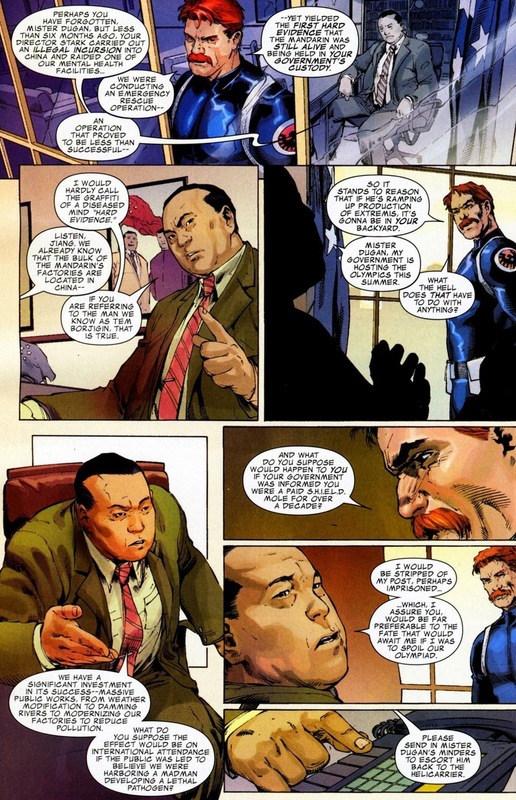 Plus, he’s needed in these meetings as an accurate portrayal of what Tony Stark would face if he had to talk to actual United States politicians. 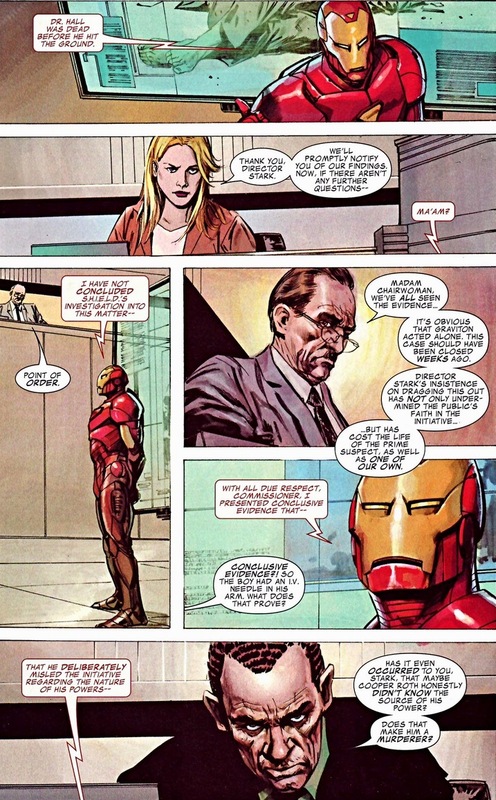 It’s mostly odd that Stark met with the committee in full Iron Man armor. 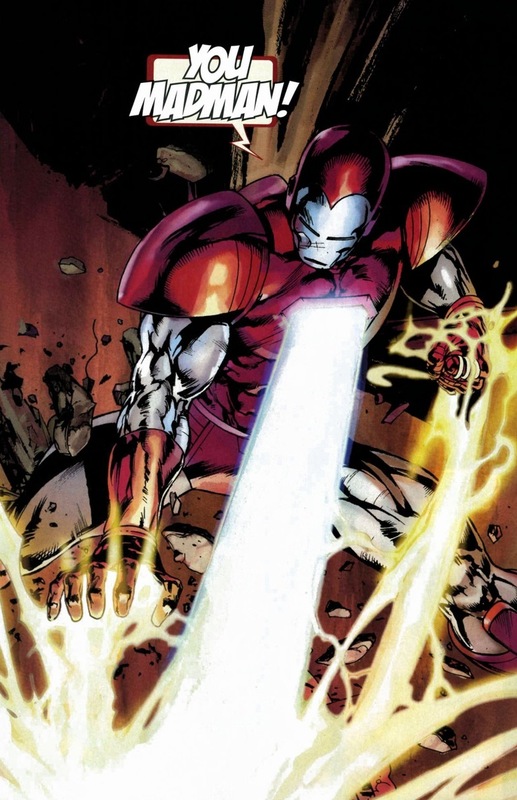 He’s not going to repulsor beam anyone there and it’s not like he’s the Thing — he can take the armor off whenever he chooses. 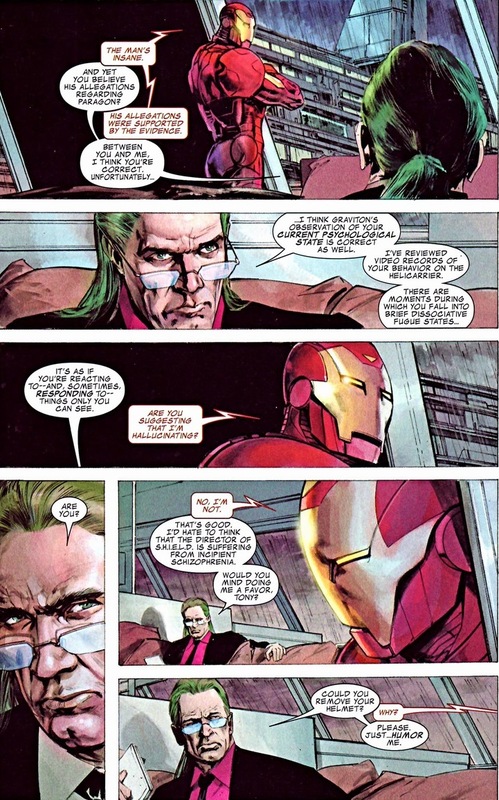 But don’t worry, the government has noticed Stark’s behavior as well and they assign the Hulk’s therapist to the case. Even though to be fair, he hasn’t really been too successful with the Hulk. 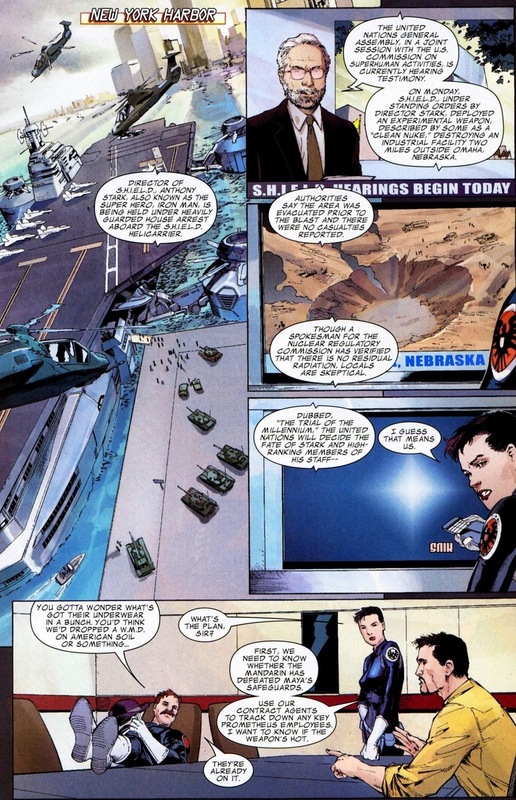 To save the country, Iron Man and SHIELD drop a nuclear bomb on Omaha, Nebraska. Hell yeah, they do. It’s called leadership, my friends. As you can expect, they now have to answer for their decisions, especially since our country (and the world) prefer that Earth’s most powerful military force doesn’t launch nuclear weapons at their own country whenever it feels like it. To each his own, I guess. Spoiler alert: I’m not going to tell you what happens to Jack Kooning. That’s a side plot that I’ve completely ignored. A lot of stuff has been going on, but I don’t want you to miss the committee meetings. I have my priorities. Watch Dum Dum imitate our own political system by making backroom deals and open threats before we continue our UN inquiries. Now, if there’s anything I know about politics, it’s that they always make the right decision. They use logic, evidence, and an unbiased agenda to properly act in the interest of the people. Right? No? Look, we know what’s going to happen. 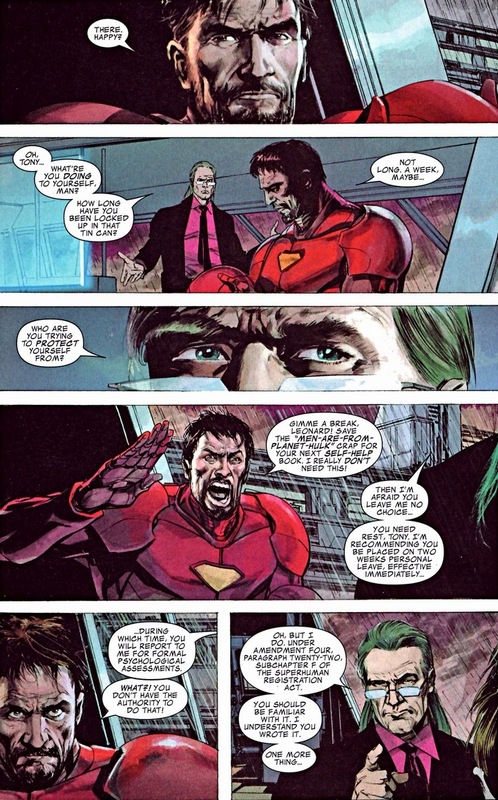 Mandarin still plans to release his 97.5% human fatality rate bomb onto the world and only Iron Man can save the day — it’s his arch-nemesis after all. 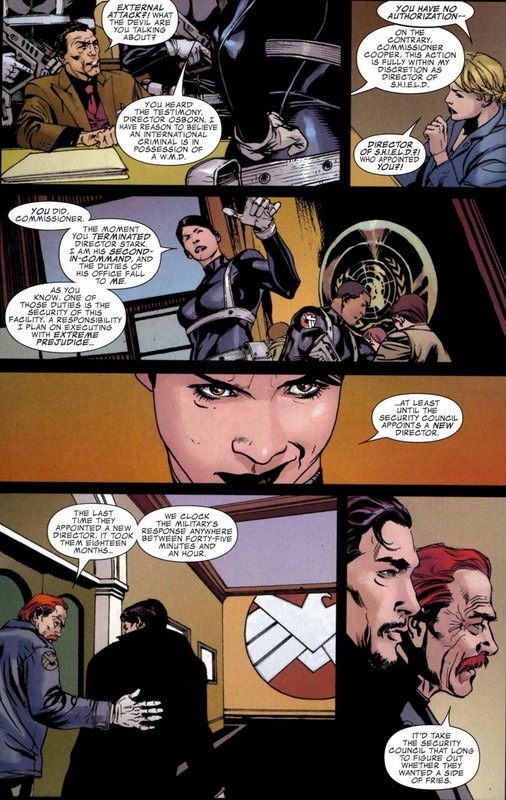 So in a scene that could only happen in pop culture and not in real life, we get a small slice of how bureaucracy could work if everyone involved was insane instead of just sociopaths. So what happens next? 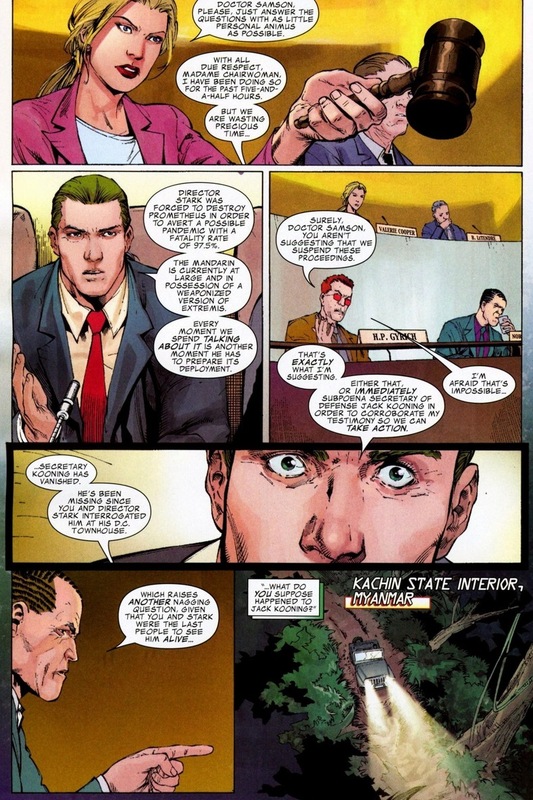 Sorry, that’s the last bit of bureaucracy in this arc so we have to end here. But I’m not a monster, I’ll be happy to give you a taste of what you’re missing out on. Don’t fret, it’s nothing special. See? 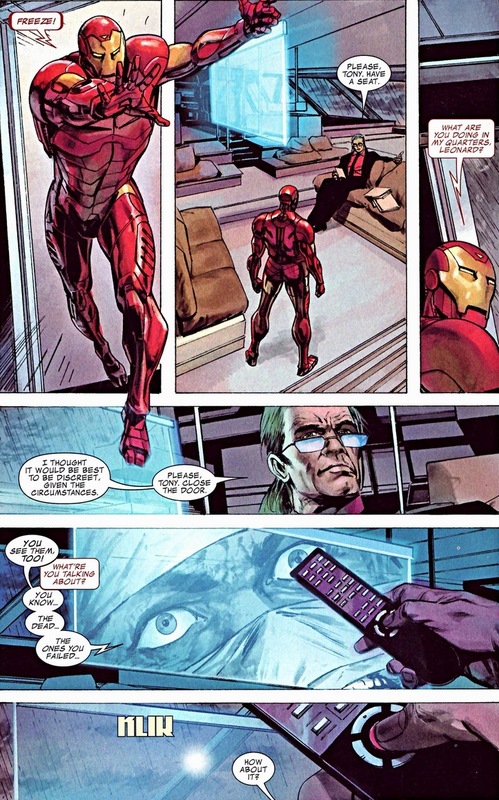 Go buy lots of Iron Man comics. Don’t you deserve it after this long week? 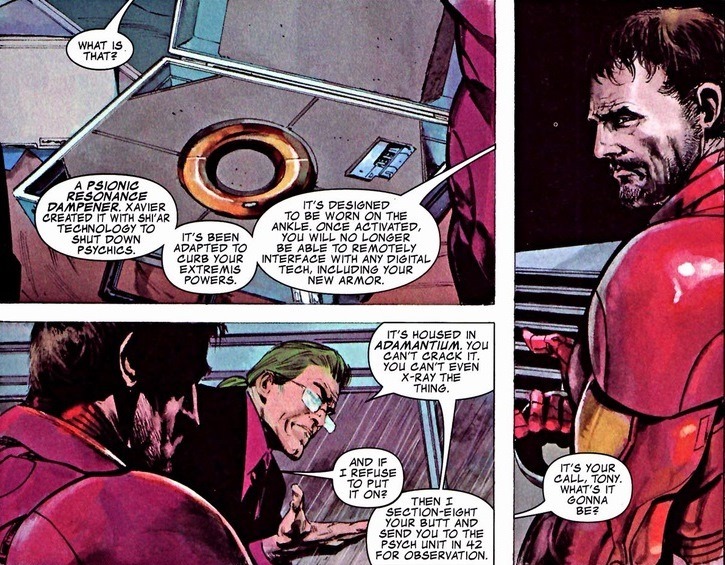 I’ve never followed Ironman comics (this post makes me want to)- who is this Dugan character? 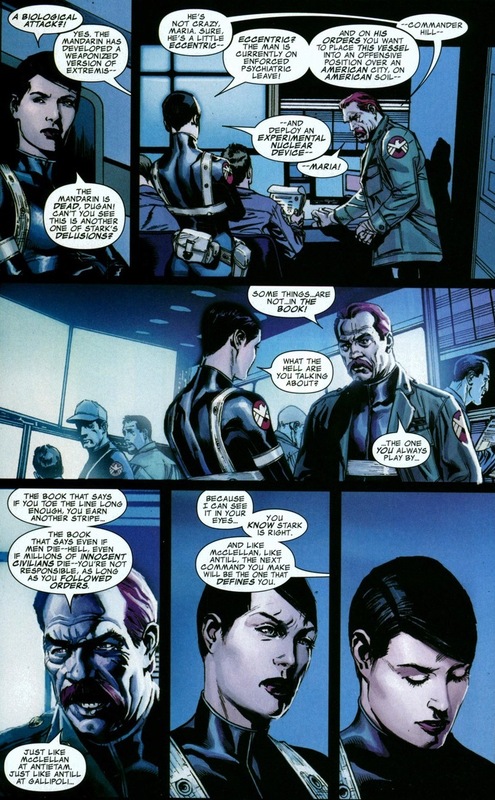 He looks suspiciously like one of Rogers’ Howling Commandos from the first Captain America movie. 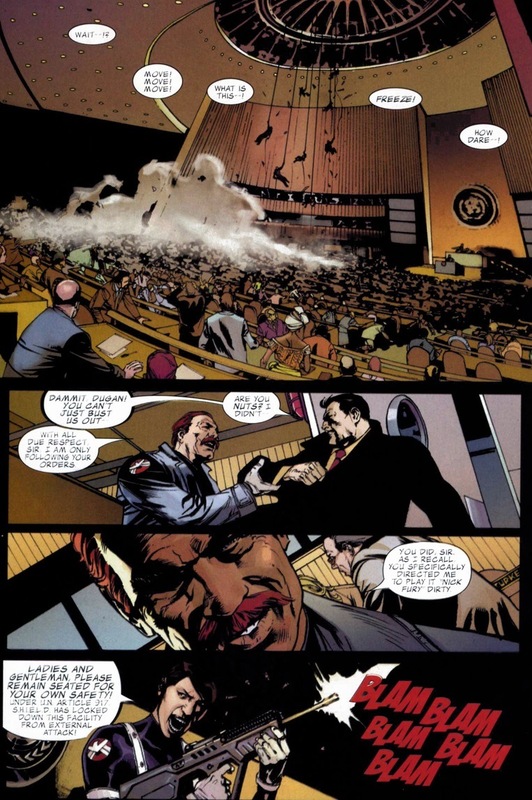 Dum Dum Dugan is an old brother in arms of Fury and was sort of his second in command while Fury was SHIELD Director.